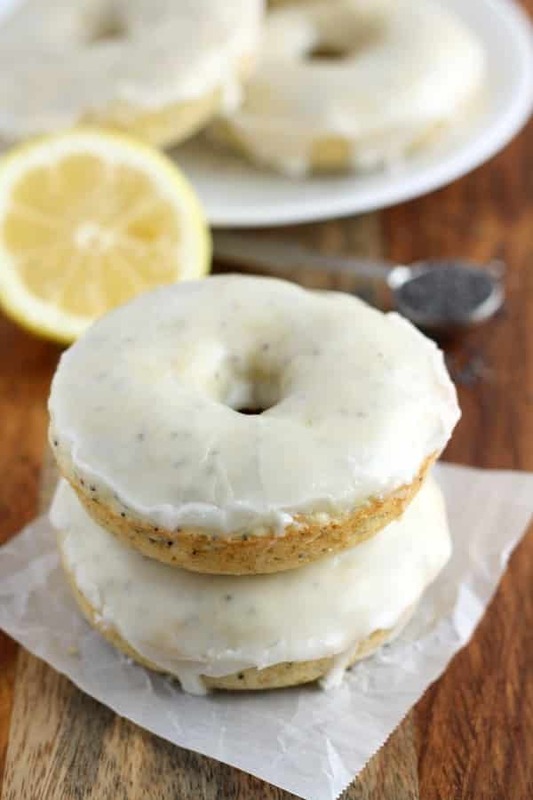 Baked Lemon Poppy Seed Donuts - Dessert Now, Dinner Later! These sweet and tangy baked donuts are perfect for breakfast and bursting with fresh lemon flavor and poppy seeds. Hey there everyone! It’s Danielle from Live Well, Bake Often! I’m so happy to be back again to share another delicious treat with you all. 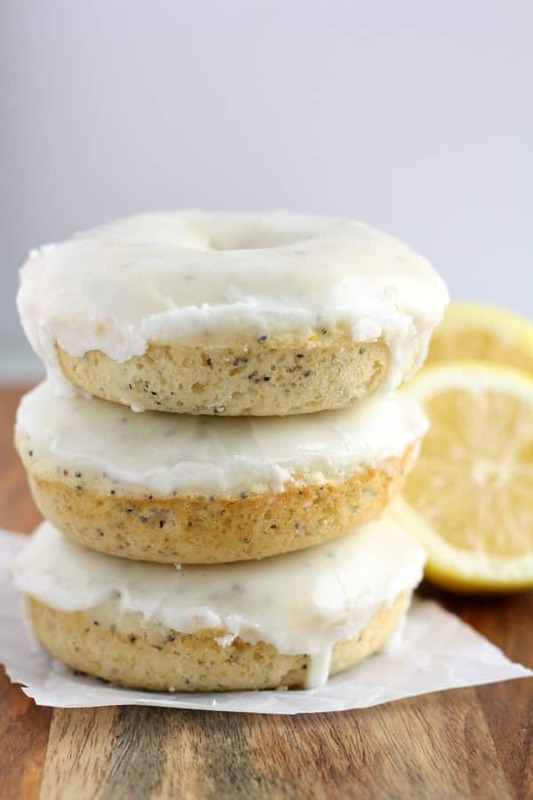 These baked lemon poppy seed donuts have recently become my new favorite breakfast. Ever since the first time I tried baked donuts, I’ve been hooked on them. 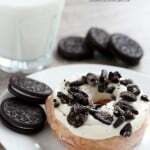 I love baking donuts, because they’re much lighter than the fried version and still taste delicious. 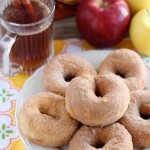 If you haven’t tried baked donuts before, this recipe is a great one to start with! These donuts are easy to make and only need to bake for about ten minutes. Once they’re done baking, you’ll dip them in a sweet and tangy lemon glaze. The glaze is what takes these donuts over the top and really enhances the citrus flavor! In my opinion, you can never go wrong with a little extra lemon. So if you love lemon as much as I do, be sure to give these a try. 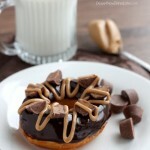 I can guarantee you will love these donuts too! Preheat oven to 350 degrees Fahrenheit. Spray a 6-count donut pan with non-stick cooking spray and set aside. In a large bowl, whisk together the flour, baking powder, salt, and poppy seeds. In a separate bowl, whisk together the granulated sugar, egg, milk, butter, lemon juice, lemon zest, and vanilla until well combined. Add the wet ingredients to the dry ingredients and mix until just combined, making sure not to over-mix the batter. Evenly distribute the batter between all of the donut cups. Bake at 350 degrees Fahrenheit for 9 to 10 minutes. Remove the donuts from the oven and set aside to cool. Meanwhile, in a small bowl whisk together the confectioners sugar and lemon juice. If needed, add a bit more lemon juice to thin the glaze. Remove the donuts from the donut pan and dip the tops of each donut in the glaze. Transfer each donut to a wire rack with a baking pan underneath to catch any glaze that may fall off. If you have any glaze left over, you can dunk the donuts into it again. These donuts are best eaten the same day, but can be stored in an airtight container on the counter for up to two days. 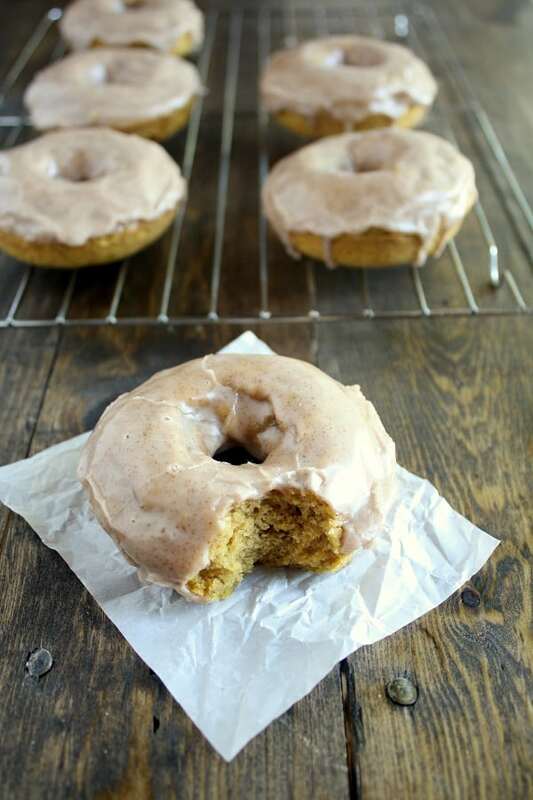 Be sure to try these Baked Pumpkin Donuts with Maple Cinnamon Glaze next! These sound so light and refreshing! A perfect way to make me forget about this winter weather and hope for Spring 🙂 Pinned this recipe! These look so beautiful! Lemon flavors scream spring 🙂 Pinning! I’m crushing on how bright, cheery, and spring-like these donuts look, Danielle! Bring on lemon season! I can’t even begin to explain how happy these donuts are making me right now! I adore the lemon and poppy seed! Isn’t lemon and poppy seed the best?! Thanks, Jen! These donuts are just the sunshine I need to brighten up this snowy and frigid day! They look incredible! 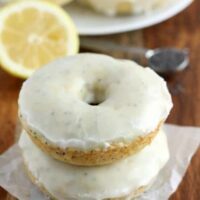 I have a weakness for anything lemon and that glaze is totally calling my name! Who wouldn’t want to wake up to a fresh batch of these? Major yum!